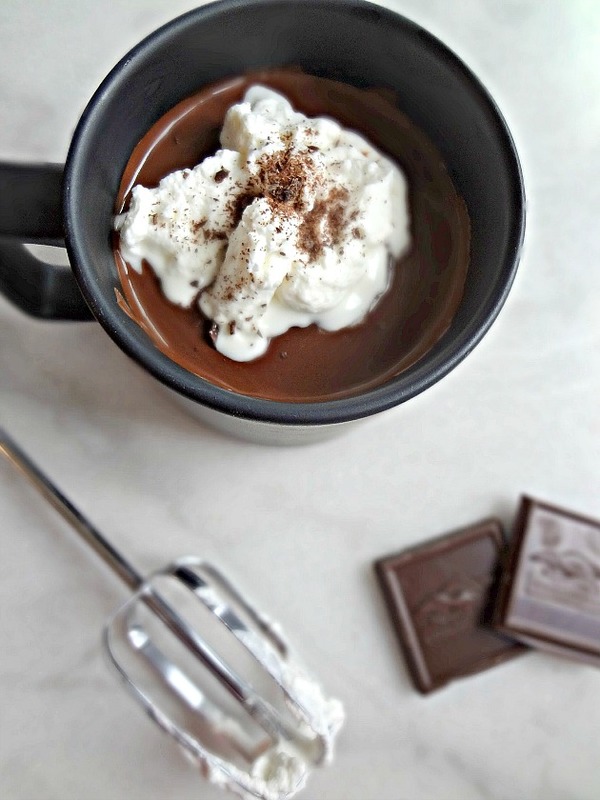 THIS IS OFFICIALLY MY CURRENT FAVORITE HOT CHOCOLATE RECIPE. Sound the alarms, this is the best hot chocolate I've had since Max Brenner's Italian Thick Hot Chocolate. Oh mannnn it is GOOD. But like...super decadent and rich and creamy. If that's not your bag-then this isn't for you. That's ok, Michael's just like you, go ahead and make your hot chocolate with a lower ratio of chocolate or even just cocoa powder. That's cool. We can disagree. BUT if you're like me (*cough*smart*cough*) then you're gonna LUUUURVE this. 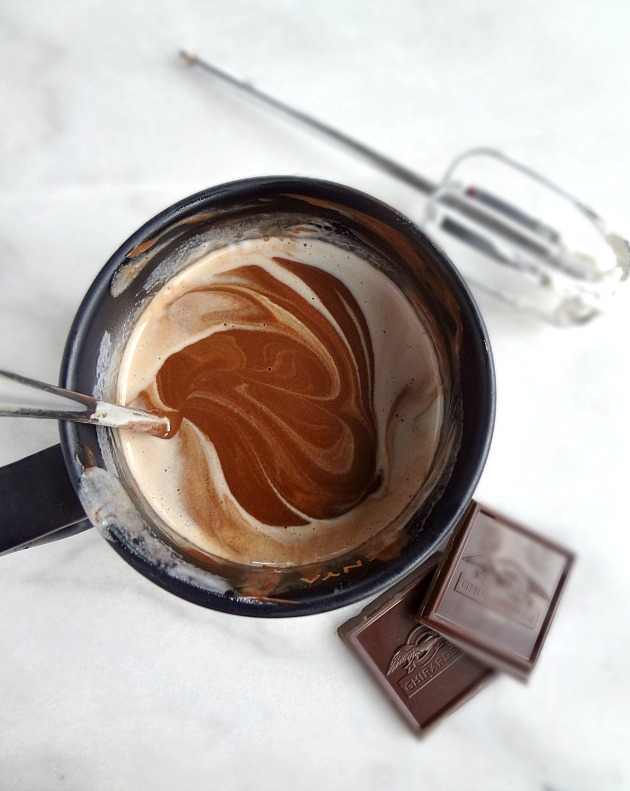 Now...this hot chocolate is perfectly perfect on its own BUT it is next level AMAZINGNESS when you add a dollop of homemade whipped cream on top. It makes it creamier and dreamier and even more indulgent. We're not thinking about our waistlines while we drink this. 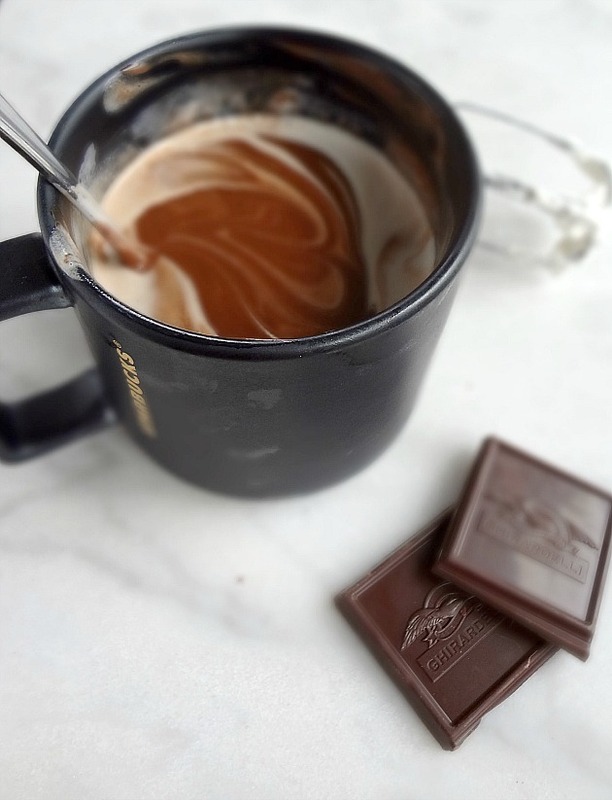 We're just thinking about how warm and happy it makes us feel and how wonderful it is that we live in a world where hot chocolate this fantastic exists. LOOK AT THAT WHIPPED CREAM MELTING INTO THE THICK AND CREAMY CHOCOLATEY CHOCOLATEY GOODNESS. 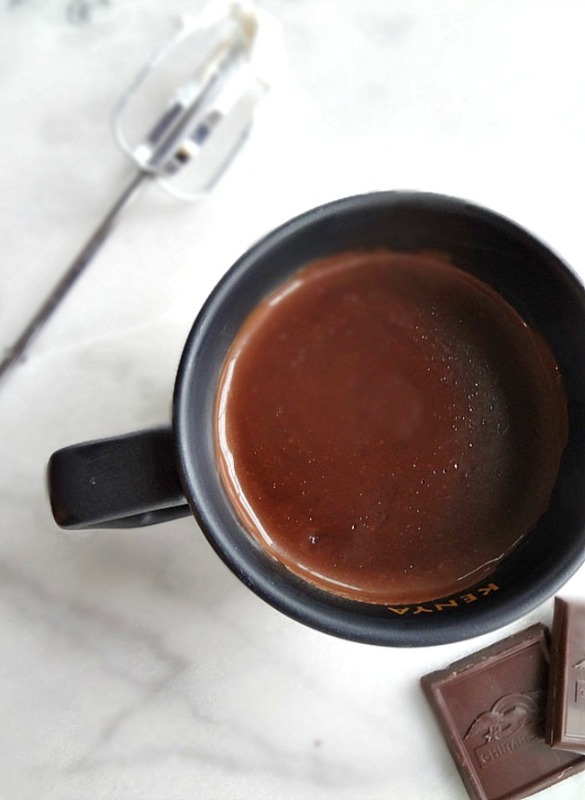 I feel like this is the sort of hot chocolate you'd sip at a cafe on the streets of Italy or Paris. You know, where I belong. A beautiful Mediterranean European city with flavorful food. *sigh* If only I spoke Italian, I would have moved there already. I worked my family and friends into a tizzy when I posted the above photo on my instagram and facebook. I ended up making this again for my cousin when she visited last week because she gave me the puppy eyes and asked oh so sweetly. Probably unnecessary...I was going to take any excuse to make this luscious drink again. Hey, do you wanna come over and have hot chocolate??? In a medium saucepan over medium heat, whisk together the whole milk, heavy cream, powdered sugar, and espresso powder until hot and beginning to steam, with small bubbles around the edges-don't let it boil. Turn heat to low and add in the chopped dark chocolate. Stir until completely melted and thickened. 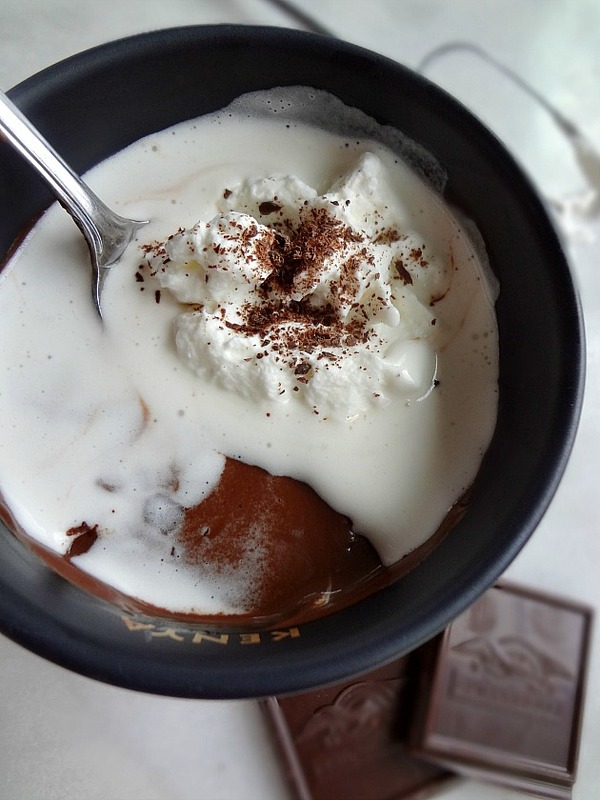 Serve warm in two mugs, topped with fresh whipped cream! This makes 2 servings. Valentine's Day is coming up. You do the math!